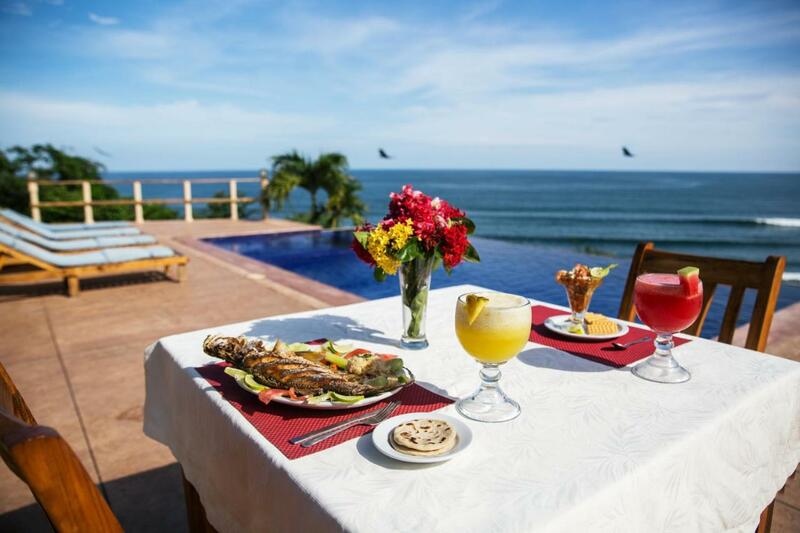 Offering an outdoor pool and a restaurant, Hotel Los Mangos El Salvador is located 10 km west of El Cuco. The property is set in a privileged place to practice surf. 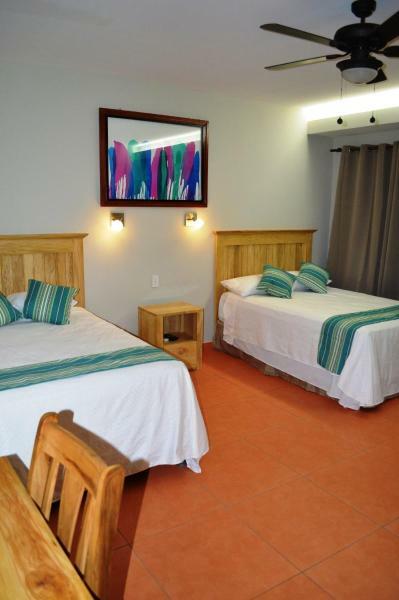 Each suite here will provide you with satellite flat-screen TV, air conditioning and a seating area. Private bathrooms also come with a hot water shower. The suites also boasts a seating area, fans and a wardrobe. 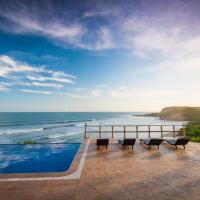 Hotel Los Mangos is located on a cliff and several stairs away from the beach. At Hotel Los Mangos El Salvador you will find a garden and a terrace. Other facilities offered at the property include water sports facilities, a tour desk and luggage storage. An array of activities can be enjoyed on site or in the surroundings, including fishing, hiking and canoeing. The property offers free parking. El Cuco town can be rach in a 30 minute drive on non paved road, while El Espino Beach is 50 minutes’ drive away.